Classic Film and TV Café: Some Like It Cold in "Ski Party"
Technically, I suppose that Ski Party doesn't qualify as part of AIP's Beach Party series. 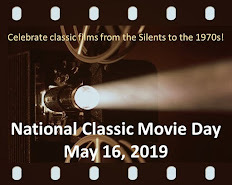 There's no Annette (except for a cameo), no beach (except for a scene at the climax), no Eric Von Zipper, and no aging classic film star. And yet...it features many Beach Party regulars (including the stars), the trademark bouncy tunes, a rock'n'roll legend (James Brown! ), a pop chanteuse (Lesley Gore! ), and--despite all the snow--plenty of bikinis. Okay, maybe it is a Beach Party movie! Frankie Avalon and Dwayne Hickman. Frankie Avalon and Dwayne Hickman star as Tod and Craig, two college chums trying to connect with a couple of curvy co-eds. Despite being a self-described "nice clean-cut American boy with a C+ average," Tod can't get even get a kiss from girlfriend Linda (Deborah Walley). Even worse, when Tod and Linda double-date at a drive-in with Craig and Barbara (Yvonne Craig), the girls giggle together in the convertible's backseat--leaving the guys to console one another in the front seat. Later, when Tod mentions Freddie, the campus's resident chick-magnet, Linda melts dreamily ("Ooh, ahh, Freddie..." she sighs). Dwayne and Frankie as girls. When the girls join Freddie and "the gang" on a trip to a ski resort, Tod and Craig tag along, too--even though neither can ski. After blundering through their first ski lesson with the guys, Tod decides they might have better luck in the girls' class. To earn admittance, he and Craig disguise themselves (none too well) as English exchange students Jane and Nora. They soon become the most popular guests at the ski lodge! The other girls invite them to a pajama party and Freddie decides that Nora/Craig is his soul-mate. Yes, my friends, Ski Party is the Beach Party-equivalent of Some Like It Hot! The most enjoyable aspect of Ski Party is Frankie Avalon's role reversal. In the Beach Party films pairing him with Annette, Frankie's character cringes at the mention of marriage and flirts openly with other females (though he ultimately remains faithful to Annette). In Ski Party, Tod desperately chases Linda, even though she essentially admits there's spark between them. He's a much more sympathetic character than any of Avalon's prior Beach Party protagonists. The Swedish ski instructor fends off an amorous Frankie. Nita: I want you should talk to me and treat me like you would the American girls. Nita: No, no, no. First, we talk. And then candy. Then more talk. Then we can hold hands. Then you ask for the kiss on the cheek. Then maybe the kiss on the cheek. Then...then what comes next? Tod: (utterly crushed) I don't know. That's as far as I ever got. As Avalon's co-star, Dwayne Hickman channels Jack Lemmon from Some Like It Hot, pulling off a nice homage with some amusing scenes as Nora. As Craig, he effectively reprises his unlucky-at-love Dobie Gillis persona (he starred in the TV series for four years). Alas, the normally charming Deborah Walley and Yvonne Craig do not fare as well, primarily because their characters just aren't very likable. James Brown doing his moves. Musician Marshall Crenshaw, author of Hollywood Rock: A Guide to Rock'n'Roll in the Movies, considers the Ski Party soundtrack to be "the best in an any AIP beacher." It's hard to argue. Lesley Gore sings one of her biggest hits "Sunshine, Lollipops and Rainbows" (written by Marvin Hamlisch). The Hondells play "The Gasser" and the title tune. And, best of all, James Brown and the Fabulous Flames deliver a dynamic performance of "I Got You (I Feel Good)." Yet, while Ski Party features good music and pleasant performances, I must admit that I miss Annette Funicello and Harvey Lembeck. Her sweetness and his silliness were essential elements of the best Beach Party movies and, for that reason alone, I've decided that Ski Party is almost part of the BP series--but not quite. Rick, I really enjoyed reading your argument about whether "Ski Party" actually is a part of the Beach Party movie series. I really enjoyed the "Some Like It Hot" imitation and think that Dwayne Hickman blended in very naturally into the story. It is quite funny watching Frankie trying to get to the Swedish girl's house in the snow. You just know that he will have his intentions dashed. Although Annette makes a very brief appearance, I too missed her and Harvey Lembeck very much. It is such fun seeing Lembeck call people "stupids" and seeing "the finger" used in a very different way than today. Great post! Toto, I love Frankie's blizzard trek on crutches. Bobbie Shaw, who played the Swedish ski instructor Nita, appeared in several BEACH PARTY movies, too. 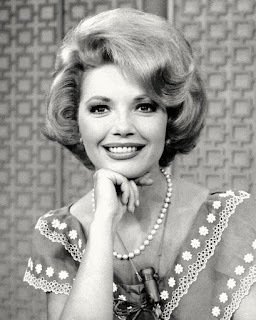 She became a respected acting coach. Here's a link to her company: http://www.bobbiechance.com. James Brown in that ski sweater is a riot--could he really "feel good" dancing around in that? Yet, one of the many beach party (or non-Beach) flick I have't seen, Rick. Kim, James Brown and the Flames portray the ski patrol in SKI PARTY (! ), though their musical number was their only scene. Rick, I really enjoyed your review of SKI PARTY, not only because of the junior "Some Like It Hot" gambit, but also because of your mention of one of my favorite musicians, Marshall Crenshaw! I even got an autograph from him when he was performing at The Bottom Line back when I still lived in NYC! I recently introduced my 15-year-old daughter to Crenshaw's music (her favorite so far is "Our Town" from the album FIELD DAY), and I actually own his book HOLLYWOOD ROCK: A GUIDE TO ROCK & ROLL IN THE MOVIES. I highly recommend it to rock-&-roll fans everywhere! By the way,Crenshaw is still rocking out at concerts across the country, and he's on Twitter, too, as @mcrenshaw. Dorian, Crenshaw's book is one of these film references that's just fun to pick up and browse through on a regular basis. Thanks for providing his Twitter name. I haven't been very vocal about it, but I have really enjoyed these Beach Party articles! Ski Party is really the same, with snow exchanged for sand. Avalon and Hickman are a hoot in drag! They are such fun movies! I lived in Indiana, without a beach in sight, but I always wanted to be a surfer because of those movies. So glad to have found this blog, especially after having watched Ski Party and Pajama Party this week. Great post! I love Annette's stuffed animal musical number in PAJAMA PARTY! Thanks for this wonderful write-up, Rick! Ski Party has always been my favorite of the "beach party" movies ( even though it isn't a beach party movie )because of it's more wholesome theme. The Some Like it Hot switcher-roo gag is always good for laughs and Leslie Gore's performance of Sunshine Lollipops and Rainbows is a real-stand out too. 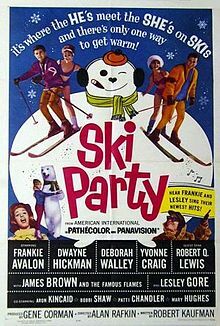 I guess SKI PARTY doesn't get the recognition because it's not a Frankie and Annette film. But it's a surprising sweet movie...and funny, too. I really enjoyed reading your article on the fun classic movie, Ski Party. Great songs, beautiful scenery, some cute scenes, a few chuckles and plenty of beautiful cinematography. If you decide to go ski jumping, Dawn, be sure to not use a weather balloon!